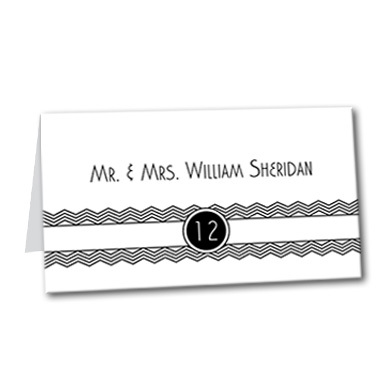 Bring back the fun and charm of The Great Gatsby with our Getting Gatsby table cards. These 20s-era cards feature an Art Deco design to catch the eye. Personalize with your guest name to welcome them to their seat at the reception. Perfect for lovers of great literature or early twentieth century style who aim to have a themed wedding. Getting Gatsby Table Card For the best experience, we recommend personalizing your stationery on a desktop computer.